LegendaryTrips is happy to provide you with this classic trip itinerary to discover Australia in 2 weeks. It focuses on the most interesting destinations that the west of Australia has to offer. This itinerary is fast-paced yet quite doable. 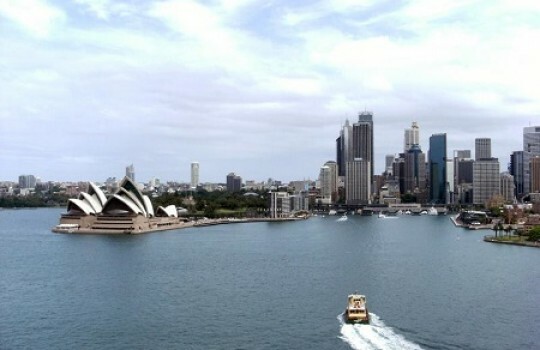 You even have a couple of buffer days at the end to visit Sydney more thoroughly that you could easily use to spend more time at a destination you really like or if you are delayed for any reason. 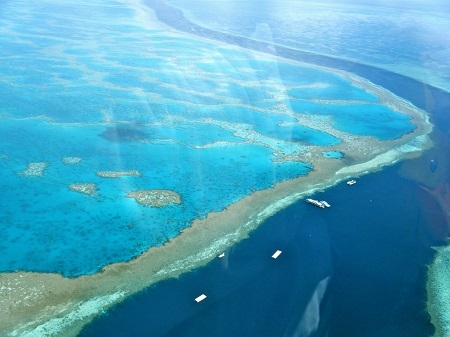 This itinerary starts with Sydney and the Blue Mountains and continues with Cairns and the Great Barrier Reef. After that, direction The Red Centre (or Outback) with Uluru (Ayers Rock), Kings Canyon and Alice Springs. This classic trip itinerary to discover Australia in 2 weeks starts with Sydney in New South Wales. It is the most populated city of Australia but not its capital – Canberra is Australia's capital. You can use these two days in Sydney to rest from your flight and start discovering the main attractions that this city offers like the Harbour that you can cruise by boat or cross using the Sydney Harbour Bridge. Other interesting places to visit in Sydney are the Sydney Opera House and Taronga Zoo. 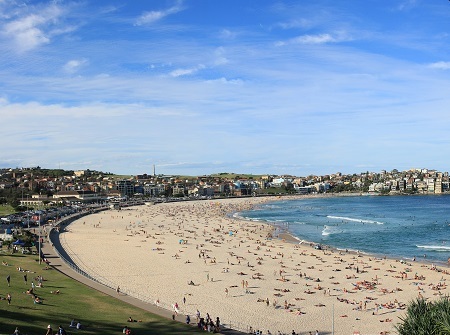 If you are interested in beaches you could start with Manly Beach. Don't worry if you don't have time to visit everything, you will have a couple more days in Sydney at the end of this itinerary to cover the spots you missed. 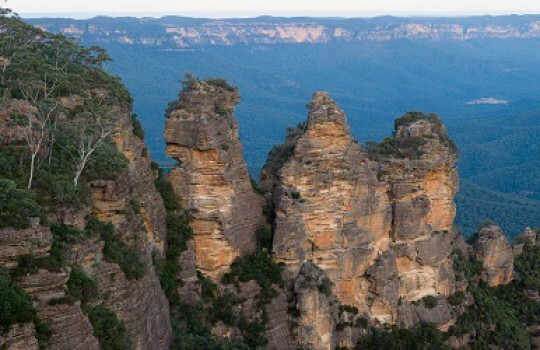 While in Sydney, don't miss out on the Blue Mountains (located in Katoomba), a beautiful region with breathtaking nature and landscape like the Three Sisters sandstone rock formation (see photo). 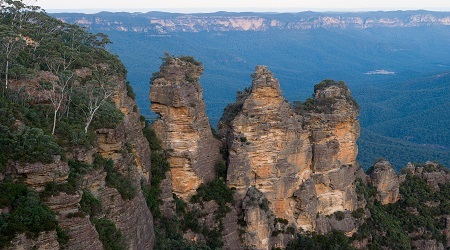 A large part of the Blue Mountains is classified as UNESCO World Heritage Site (Greater Blue Mountains Area). You can easily reach the Blue Mountains by bus or train from Sydney (about 90 minutes). Go back to Sydney and take a morning flight to Cairns (3-hour trip), which is what Aguas Calientes is to Machu Picchu in Peru: a gateway to one of the most beautiful sight in the world, the Great Barrier Reef. 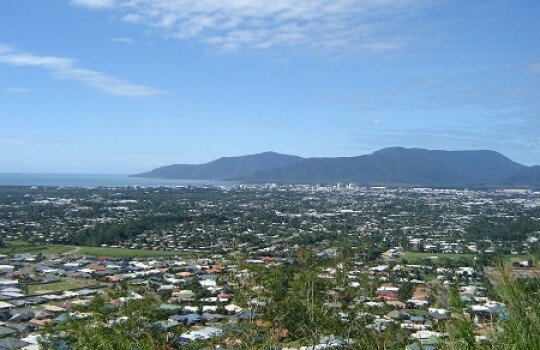 Nonetheless, Cairns has some interesting attractions that are worth a visit while waiting for the Great Barrier Reef like the Lagoon and Esplanade Foreshore and the Flecker Botanic Gardens. 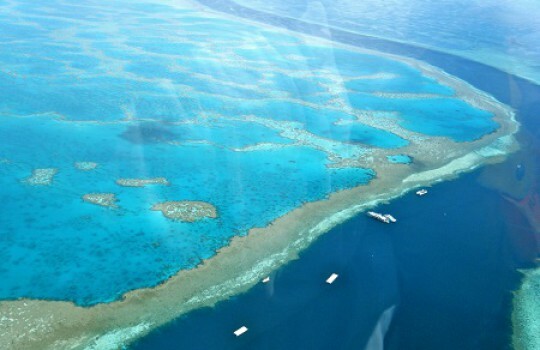 As you may imagine, being one of Australia's most famous attractions, the Great Barrier Reef is very crowded with tourists from all over the world. You need to be very strategic to enjoy this wonderful experience to its fullest. If you are not an experienced diver, your best option is to take a day trip on a glass-bottom boat. This is not the cheapest option but it's what comes the closest to diving and it will spare you spending the day with hundreds of people. Most tours leave from Reef Fleet Terminal. For the (lucky) divers out there, you can go on a day trip with small groups organized by dive charters. Note that if you are diving you will need to wait one day before flying to the Outback/Red Centre. 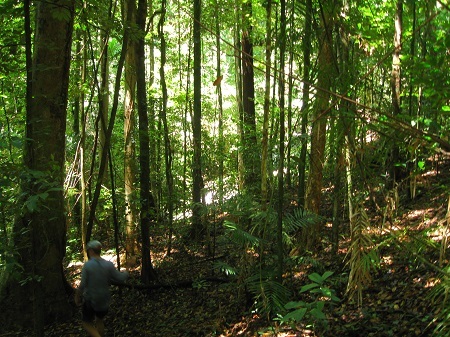 Whether you have dived or not to see the Great Barrier Reef, it's definitely worthwhile to go to the Daintree Rainforest, the oldest tropical rainforest on earth. 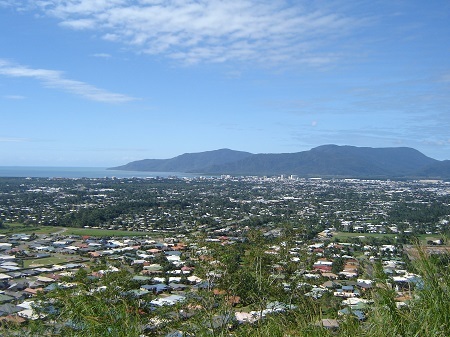 It is located 2 hours away from Cairns by bus (departure at 7.30 AM and return at 6.30 PM, approximately). 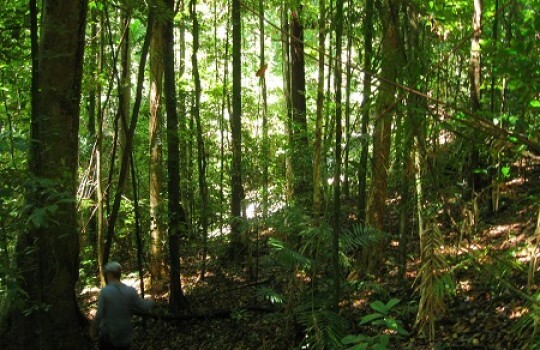 There are various hiking trails ranging from one to six hours that will allow you to truly enjoy the beautiful and wild nature the Daintree Rainforest has to offer. Fly from Cairns to Ayers Rock Airport early in order to have the entire day to visit Ayers Rock. 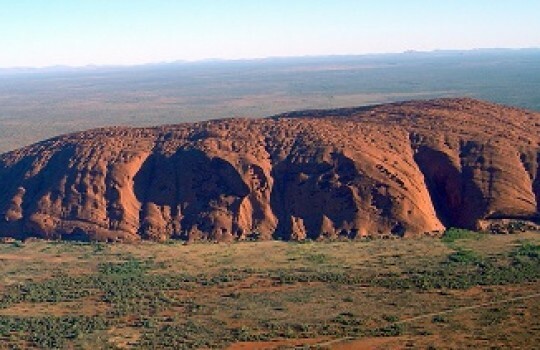 Also named Uluru, Ayers Rock is a large red sandstone rock formation (see photo). You can take a walking tour to visit the monolith. It is even possible to climb it although Aborigines advise visitors that Uluru holds a special place in their spiritual beliefs and request them not to climb it. For your second day in Uluru, you can explore further the area and visit Kata Tjuta (also named Mount Olga), a group of sandstone rock formations. It is part of the Uluṟu-Kata Tjuṯa National Park and is located about 48 km / 30 mi from Uluru (there are shuttle services to go there). If you are into hiking there are beautiful trails you could explore, starting by the Base Walk around Uluru (9.6 km / 6 mi). 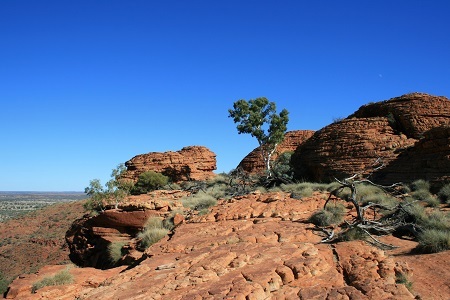 Kings Canyon (Northern Territory) is a canyon located in Watarrka National Park between Uluru and Alice Springs. It's best reached by renting a car (5-hour drive from Uluru). Kings Canyon offers amazing hiking trails ranging from 2 to 22km (1.2 to 13.7 mi). Like pretty much anywhere in the Outback, make sure to avoid hiking during the hottest hours of the day and to carry enough water. After a night at Kings Canyon, head the next morning to Alice Springs. The drive should take you about the entire day but you will go through the MacDonnell Ranges (protected as part of with their stunning nature and scenery so you will certainly not be wasting your time. 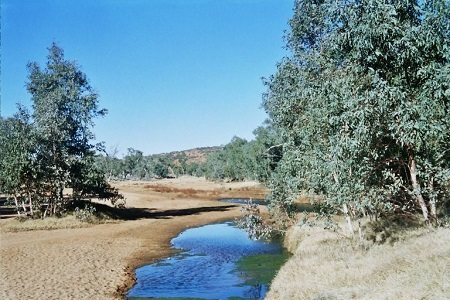 For the night if you are looking for adventures you may want to stay in one of the many camping sites in the MacDonnell Ranges. Otherwise continue your trip to Alice Springs, the third largest city in the Northern Territory after Darwin and Palmerston. The next day explore the city and its many attractions like Alice Springs Desert Park. It's now time to go back to Sydney. 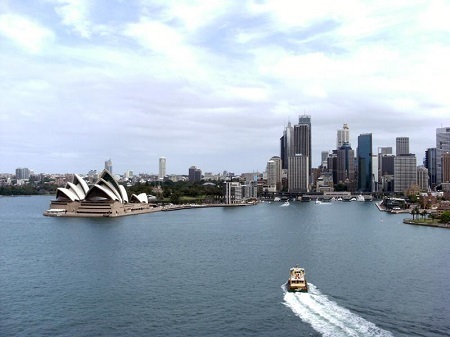 Drop off your rental car and take a direct flight to Sydney (about 3 hours). 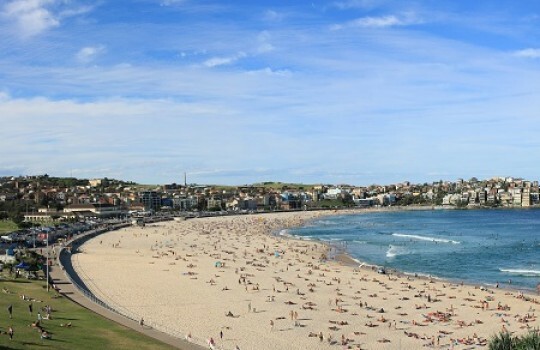 These two last days of the itinerary should give you the opportunity to visit interesting sights you didn't have time to see at the beginning of the trip like, for example, Bondi Beach, located about half an hour by public transport from Sydney Town Hall. Another option if you think you have seen enough of Sydney could be to squeeze an extra destination between Alice Springs and Sydney (how about the Kangaroo Island near Adelaide? ) but it may prove difficult so we are just leaving it as a suggestion in case you had a perfect timing so far and/or are willing to stretch your trip by one or two additional days (and nah... it's not cheating! ).